The Community University Health Care Center (CUHCC) opened in 1966 to provide the children of South Minneapolis with a comprehensive medical-dental care program. Now, CUHCC is the primary medical and dental clinic for patients of all different ages and locales. CUHCC was first opened under a protocol of offering eligible children a program of total medical and dental care with emphasis on prevention. Eligibility depended on the total income for the family to which the child belonged and whether the child lived within the geographic limits of CUHCC. The total income eligibility requirement was based on whether the family fell under the Social Security Act’s guidelines for poverty level. The clinic used a sliding fee scale so patients who could not pay much could still get complete health care, with the reasoning behind opening a clinic where money was of a lesser concern was based on a National Advisory Committee on Health Manpower report that concluded that medical costs would soon exceed the general cost of living increases. Soon after CUHCC opened, the specialists served what some considered to be the largest Native American population in the country, with up to 9,000 Native Americans living in the area at certain times during the year. 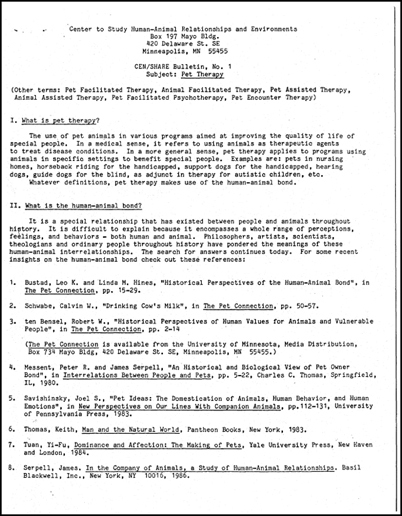 In 1974, the director of the clinic estimated proportions to the Minnesota Daily, listing 44 percent of the clientele as Native American, five to 10 percent black, and the rest white. In 2009, 64% of the patients seen at CUHCC were people of color, immigrants, or refugees: 31% were black, African, or African American; 16% were Asian or Pacific Islander; 12% were Latino; and 5% were Native Americans. In 1975, CUHCC began to treat adults. These adults were originally the parents and family members of children already being seen at CUHCC, but that soon changed to any adults living in the geographic boundary. When CUHCC moved to its new location on Bloomington Avenue, the geographic limits originally imposed on patients were removed, so now any patient who falls below the poverty line can be seen at CUHCC. Before you take a sip, do you ever pause to wonder how clean the drinking fountain is? In 1917, public health researchers had the same thought about the water fountains all across the University of Minnesota campus. 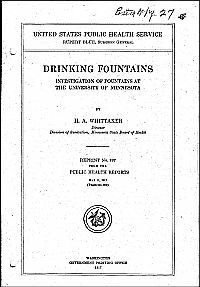 The 1917 report, “Drinking Fountains: Investigation of Fountains at the University of Minnesota,” by H.A. Whittaker and published by the United States Public Health Service looks into the sanitary conditions of the drinking fountains and offers recommendations on their improvement. The report identifies the source of the contamination as well as documents the occurrences of streptococci and B. coli. And it names names, meaning, it gives the location of all the offending drinking fountains. Perhaps there is a fountain on the list that you still use every day. The report found that all 77 fountains were improperly constructed and allowed for contamination by the consumer. Tests found 80% to be contaminated with strep and 11% to have contaminants not found in the supply water line. It concluded that drinking fountains were a source of transmission of communicable diseases that could be remedied. Take a sip of water and read the report below. U of M researchers are committed to making clean water flow freely, from the headwaters of the Mississippi to the slums of Mumbai. Learn more at umn.edu. 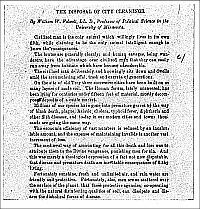 It may come of some surprise that this 21st century global public health perspective originated at the University of Minnesota during the nineteenth century as a result of the friendship between the first university president, William Watts Folwell, and Charles Hewitt, Minnesota’s first secretary of the State Board of Health. Folwell and Hewitt first became acquainted as officers in the Union Army. After the war, both men became involved in the administration at the University. While president, Folwell worked closely with Hewitt and several other men including Perry Millard to propose the establishment of a college of medicine to the Board of Regents in 1882. It is clear that these two men shared a bond both personally and professionally. Folwell, who was a faculty member of the political science department, showed great interest in not only the politics of urban sewage sanitation but also the public health implications of clean water and the need for sustainable practices. There is little doubt that his friend, Hewitt, had a hand in formulating his opinions on the power of clean water on public health. The city will not be allowed to discharge its filth into the Mississippi river indefinitely. Might as that stream is, it is not big enough to dilute and deodorize the sewage of a hundred towns and cities seated on its banks… It is none too soon to attend to the problem of caring for [our] own filth. It is also interesting that with all of Folwell’s forward looking discussion of the ties between water sanitation and public health, his imagery of “brutes” and “savages” is emblematic of nineteenth century chauvinism and of no use today. The AHC Archives project is happy to announce the availability of the Theodore A. Olson papers. 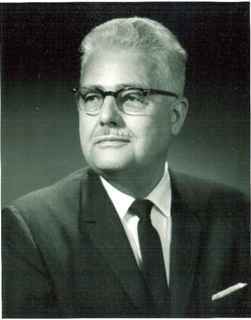 Theodore Alexander Olson attended the University of Minnesota earning a degree in biology in 1926 and worked as an instructor in Entomology. He resigned from the University in 1928 and began working for the Minnesota State Board of Health (Minnesota Department of Health). While at the State Board of Health as an associate biologist, Olson conducted research at the Harvard Biological Laboratories. In 1938 he rejoined the University of Minnesota as an Assistant Professor in Preventative Medicine and Public Health. During World War II, Olson served with the Seventh Service Command Headquarters from 1942 to 1946. After returning to the University, Olson oversaw the establishment of a teaching and research facility in sanitation biology in the newly organized School of Public Health. Olson’s early post-War research focused on the transmission of human pathogens via cockroaches as disseminators of Salmonella and other diseases. In 1956, Olson’s research focus shifted to freshwater pollution and the environmental quality of Lake Superior. This change realigned Olson’s work with his earlier freshwater research while at the State Board of Health and Harvard University in the 1930s. Theodore Olson retired as Professor Emeritus School of Public Health from the University of Minnesota in June 1973. He passed away in 2002 at the age of 97. The collection contains correspondence, reports, and publications of Theodore A. Olson, including material related to the environmental water studies of Lake Superior in the 1950s and 1960s. There is also a later edition of his “The Scientific Vocabulary” dictionary, a popular resource for graduate students in Professor Olson’s courses. Where is the School of Public Health? Over the years the administrative and programmatic offices for SPH have moved all over campus. Some might even call it a school without walls. A map of SPH locations in the late 1960s illustrates the point. 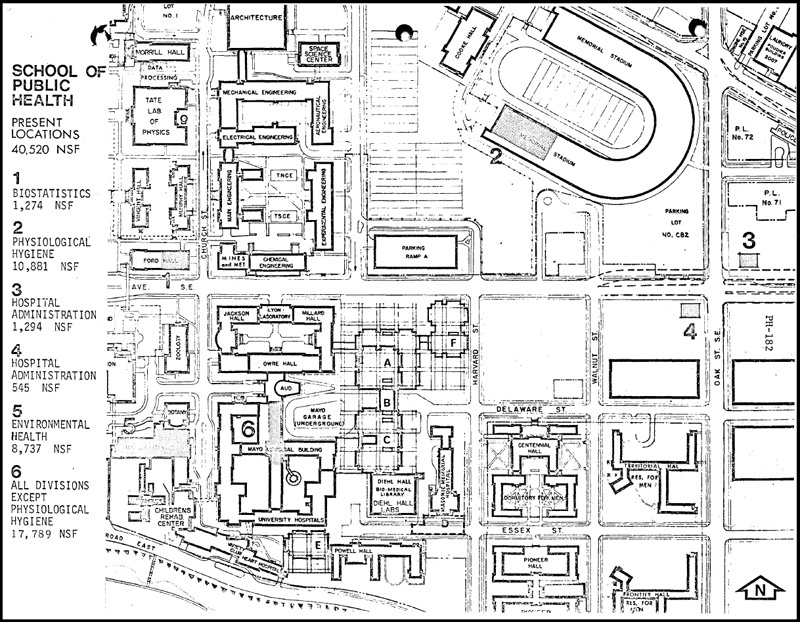 The map is from a 1969 narrative about the School and its space needs. 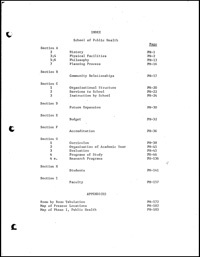 The report provides a great historical overview of the SPH up until the reorganization of the health sciences into the present day Academic Health Center in 1970. It emphasizes the history of the School and its community partnerships as well as descriptions of each of the divisions and programs and their origins. Read the full narrative below. And as for being a school without walls, thirty years later the School of Public Health’s emphasis on student/faculty use of online tools and social media publishing is spreading the School’s activities and influences far beyond the map above. It is also expanding the archival terms of digitally documenting and preserving such activities for institutional memory and historical research. The recent issue of Scientific American looks at some of the questions related to the rise of obesity in a world still plagued by famine. A related article in the issue focuses on nutrition and diet as part of the obesity discussion. 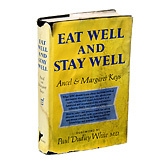 The author details an ideal diet and then notes that this advice hasn’t changed much since first put forth by University of Minnesota physiologist Dr. Ancel Keys and Margaret Keys in their 1959 book Eat Well and Stay Well the Mediterranean Way. Yesterday at a Libraries’ planning retreat, Dean John Finnegan of the School of Public Health spoke to us about what he felt his school needed from the Libraries. With a background in media and communications, Dean Finnegan’s interests include pairing new technologies with the mission of the SPH. This is clearly evident on the School’s web site that displays current SPH student blogs, podcasts, and videos (Student SPHere) related to their education and time in the field. The SPH’s emphasis on new technologies presents interesting and exciting challenges for me in documenting the School’s activities. I hope to use the backbone of the University Digital Conservancy to preserve the SPH’s digital materials.